Human headline and global business mogul Sir Richard Branson has turned out in typically colourful fashion – casual sailing gear to be precise – to firm up details of the Virgin Group’s entry into cruising holidays, unveiling the evolution of his newest brand Virgin Cruises transforming into ‘Virgin Voyages’ and revealing plans for three ships to debut by 2020. 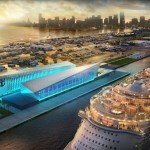 Speaking at an event in Miami, Florida a few hours ago, Branson and two bikini-clad ladies joined Virgin Voyages CEO Tom McAlpin onstage to announce the company had signed a shipbuilding contract with Italian construction giant Fincantieri to build three mid-size ships – one more than previously hinted. 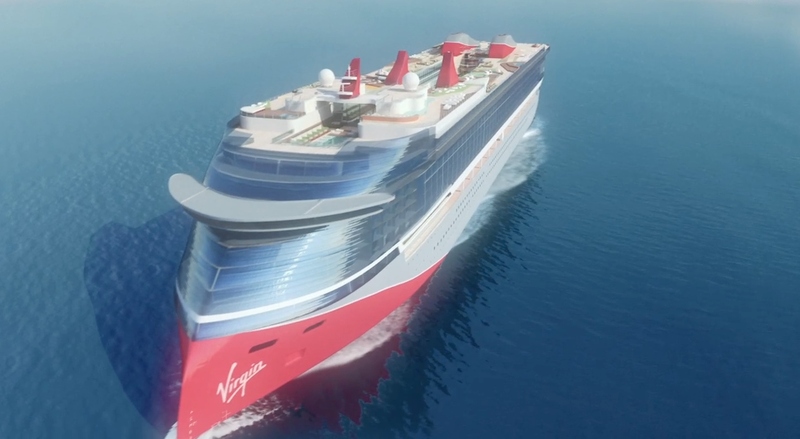 Each ship will offer space for around 2,700 passengers, or “sailors” as Virgin calls them, to be looked after by 1,150 “spirited”with work to begin on building the first by late next year. An early rendering released last year of how a Virgin Voyages ship might look. The final product is likely to be different. 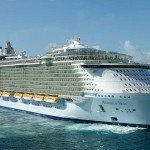 The company will home port its first ship – as yet unnamed – in Miami and will sail to the Caribbean, calling in ports which it says will deliver “unique and very social experiences”. No details were advised on where the other two ships will be located. 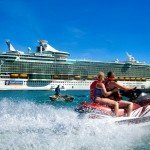 Adhering to its futuristic and environmentally sustainable hallmark, Virgin Voyages ships will each feature Climeon Ocean – a clean energy system designed by innovation firm Climeon, which will convert low-grade energy, hot water and waste into recyclable and reusable energy to power other functions of the ship. According to Virgin, the resulting energy saving will save an estimated 5,400 tonnes of carbon dioxide per year, on each ship. The same amount would take around 180,000 trees around 30 years to absorb, the company added. 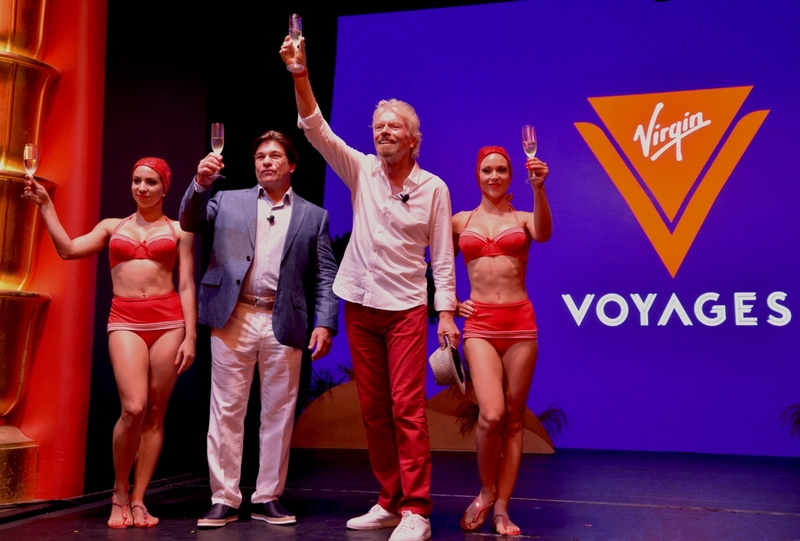 Sir Richard Branson and company CEO Tom McAlpin toast to Virgin Voyages and its 2020 debut. Branson said the company will offer “boutique” style cruises. Virgin Group is already involved in air travel with Virgin Atlantic, hotels with several Virgin branded hotels in various cities around the world, a game reserve and lodge in South Africa and is progressing toward future space travel with Virgin Galactic. “This is anything but just another cruise or holiday, it will be a transformational experience delivering a very ‘Virgin style’ of adventure,” Virgin Voyages CEO Tom McAlpin commented. Fantastic who wouldn’t want to be on the first cruise!!! Pick me YEAHHHHHHH!! !